Book Discussion: "How We Learn"
Step 1. ACCESS the Content. You have options. a. Buy the book and listen (7 hours) or read it. 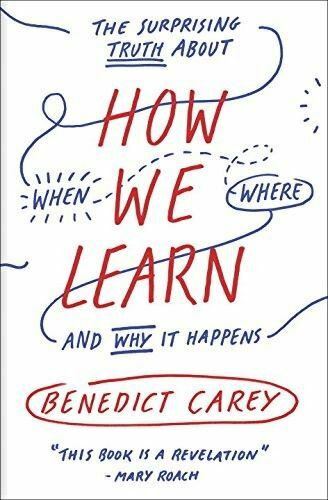 "How We Learn: The Surprising Truth About When, Where, and Why It Happens" by Benedict Carey. Book notes prepared by Lisa Medoff, PhD, Stanford School of Medicine’s Learning Specialist. Step 2 READ or LISTEN to the entire book or pick a chapter that interests you. OR read or listen to some of the summary resources. Step 3 JOT DOWN 2 things of interest to you from one of your favorite chapters. Step 4. SHARE your insights and again you have options. WE will also talk about various ways to conduct book discussions.